I had never thought of writing about washing day – until I was unpegging the washing from the clothesline one day. I don’t know why, but images flashed through my mind, and for an instant, I was taken back to another clothesline, in another place, and another time. My unit is nestled amongst the trees, plants, and wildlife that fill the twenty-eight acres of bushland that I now call home. Even though it is quiet and peaceful here, it isn’t as quiet as the place that popped into my head on that washing day. Before I found my little piece of Paradise, I spent five years living and working in Central Queensland. And it’s that part of my life that the washing day memory came from. I was living seventy-five kilometres from one small town, and seventy-five kilometres from the next, even smaller town. Smack-dab in the middle of both, with nothing but bush in between. Apart from a small school on one side, which was always deserted on weekends – there was nothing but bush on the other three sides, which were deserted on any day. My only company on Saturdays and Sundays, unless I drove to the general store a few kilometres away, was the wildlife. My routine on Sunday mornings, when I was at home (more about that later), was to sit on the back step with my morning coffee, and watch the kangaroos in the paddock next to my house. I discovered they have an interesting method of checking for safety – not foolproof I might add, given the number of flat ones on the road – but it seemed to work okay out there in the paddock. In the process of hopping through the bush, one of the larger ‘roos would stop, scan, and listen, with head up and ears back. The rest of the mob would then hop a little further into the paddock, usually in single file, and usually with some distance between each one. Eventually, they would congregate, but they were always on alert for the slightest sound or movement. They were comfortable with my presence, although they were aware of every move I made. Meanwhile, the mob grazed, and I watched and learned. That was my existence back then; work all week, and watch the kangaroos graze on weekends. I always had a week’s worth of washing to hang out on at least one of those weekend days. And it was staring at the bush from the clothesline that drove home the reality of isolation. When I wasn’t at the clothesline, or watching the kangaroos from the top step, I was inside, planning for the next week at work. I couldn’t see the isolation from inside. But outside – it was unavoidable – you just couldn’t escape the aloneness out there. Was it peaceful? Absolutely! There were times when the aloneness was overpowering. The nearest big town was three hours away. I would drive there every few weeks and check into a hotel for the weekend – just for the socialisation. I still took work with me, but it was accomplished over a coffee, in the hotel restaurant. The fact that my only social encounter for the weekend was the waiters, didn’t bother me. They were better looking than the furry-faced kangaroos, and communicated in a way that I understood. As much as I loved the ‘roos, they certainly didn’t compensate for a human to talk to. As I stood at my clothesline that day, I gave thanks for being here in Paradise. Having people around me to socialise with when I need people-time. And witnessing the beauty of trees, flowers, and fabulous bird life, in my quiet times. Well, almost all the bird life. 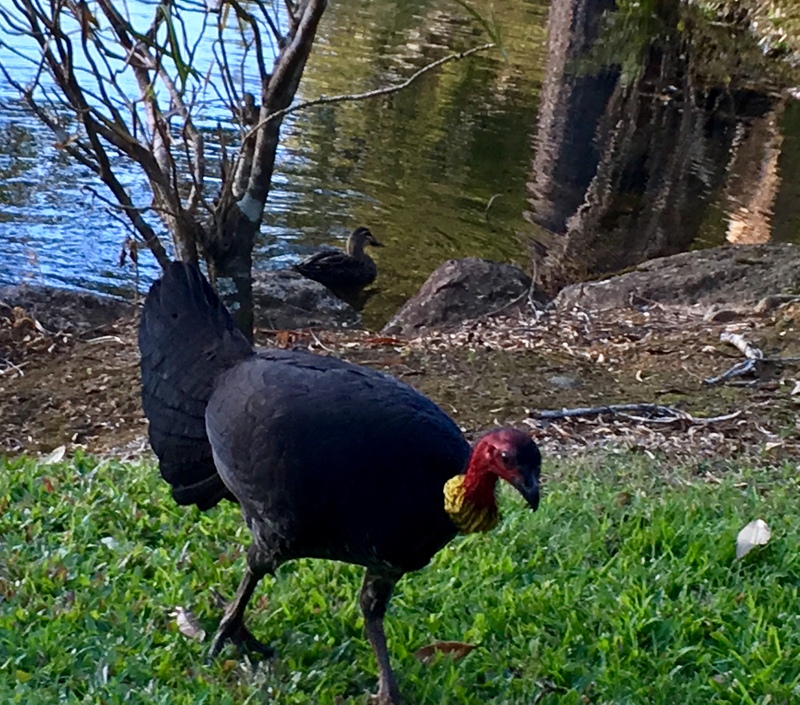 The Ibises and Brush Turkeys take some getting used to. 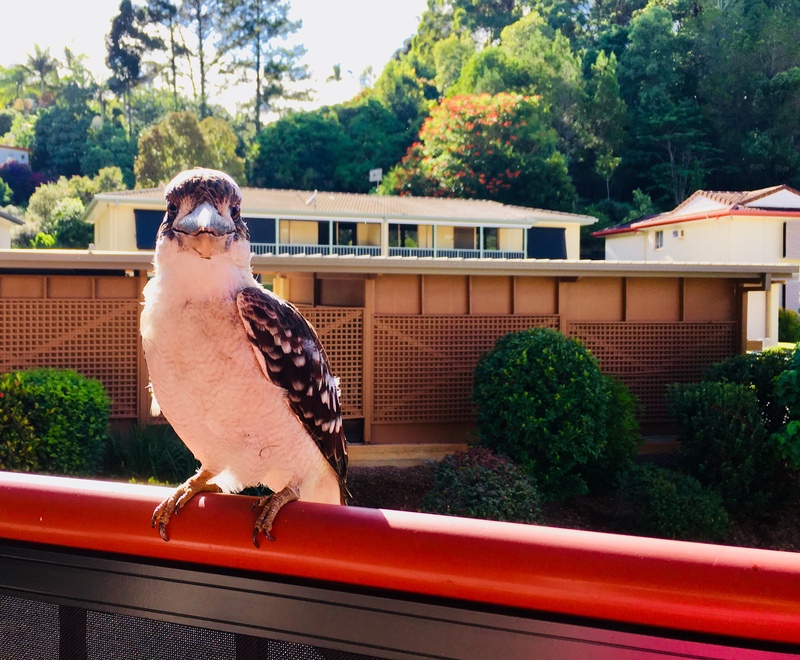 The Kookaburras and Parrots make up for the turkeys that destroy the gardens while building their nests. I’m still wondering what purpose the Ibis serves. I’m grateful for the quiet reflective times spent in the other place, but not the isolation. I’m grateful for the lessons I learned about strength and resilience, but not the aloneness. I’ve finally come home to where I want, and need to be. And my clothesline here in paradise is a symbol of my new reality. But even my little piece of Paradise might one day be just a memory, to be thought about while unpegging the washing, on another washing day.